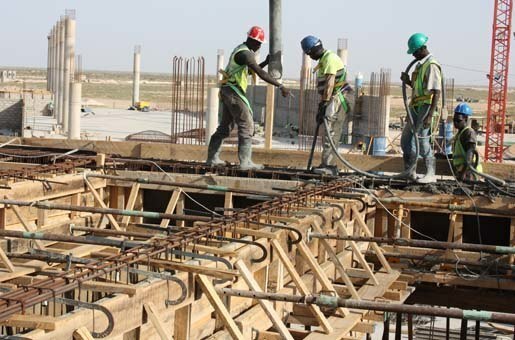 SIMCO was hired by ASML Group to evaluate the durability of the concrete used to build the runways, taxiways and apron of the Nouvel Aéroport International de Nouakchott (N.A.I.N.). The investigation was performed on-site by one of our concrete expert engineers, who also mentored different on-site engineers and technicians. 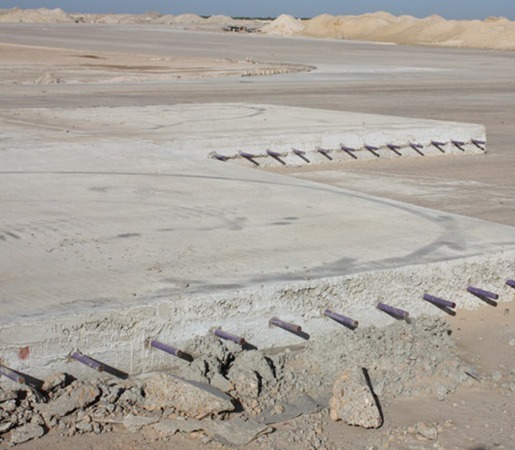 SIMCO’s scope of work also included observations of the different construction activities, batching facilities and laboratory testing programs, in order to improve current processes and procedures used to ensure the durability of the concrete produced. To ensure durability of the concrete in place, comments and recommendations were provided regarding concrete production, transportation, placing, finishing and curing. SIMCO’s team of durability engineering experts can travel anywhere to perform on-site quality control inspections and offer in-depth insight into the often complex problems encountered during the construction, repair or rehabilitation of concrete infrastructure.